Mainstream motherboards for AMD 3rd Gen Ryzen might be delayed until the end of the year, according to a new, rather convoluted, report. Insider sources seem to suggest that ASMedia has managed to keep hold of all mainstream PCH orders for AMD’s 500-series motherboard platform, however, the tech company won’t complete relevant PCIe 4.0 solutions until the end of 2019. 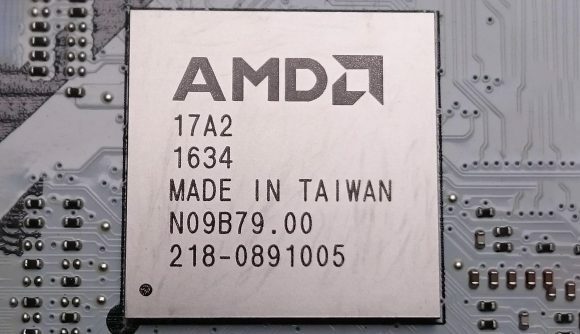 AMD is reportedly ditching ASMedia for enthusiast X570 chipset production, instead returning to its ATI roots and designing the platform controller hub itself. However, recent reports suggest AMD may have had no option but to design the enthusiast PCH in-house for its mid-year 3rd Gen Ryzen release window if it hoped to keep the PCIe 4.0 dream alive, due to a lack of PCIe 4.0 compliant product over at chipset partners, ASMedia. Speaking to DigiTimes, insider sources say the long-standing contract between AMD and ASMedia to produce chipsets – which has existed for both the 300- and 400-series motherboards – is still in place for 500-series motherboards, barring the X570 chipset, which AMD is designing itself. Despite netting itself “all the orders for mainstream motherboard PCH chipsets”, these same sources mention that ASMedia will only complete tape-outs for relevant PCIe 4.0 solutions “by the end of 2019”. That leaves ASMedia with the task of turning around relevant PCIe 4.0 solutions for mainstream motherboards to get out the door later in the year. Gamers Nexus reports that B550 motherboards are set to launch one quarter after X570 boards. If that’s still the case, either ASMedia has some catching up to do, or these boards will launch without PCIe 4.0 support. It wouldn’t be entirely unreasonable for AMD to keep PCIe 4.0 support limited to only the high-end chipset. After all, the benefits of PCIe 4.0 will largely only come into play if your storage or platform devices are numerous or high-spec enough to utilise all the bandwidth available to them. The in-house AMD chipsets will reportedly require nearly double the wattage of their ASMedia predecessors. As to why, we aren’t entirely sure. Leaked roadmaps hint at a June launch window for X570 motherboards, right when we expect the red team to drop 3rd Gen Ryzen CPUs.